Back in the 1840s dentists made a discovery that changed dental practice for well over a century. Dentists realized they could make a paste out of silver and mercury that would harden inside a tooth after they removed the decay. Many dentists still use those fillings today. 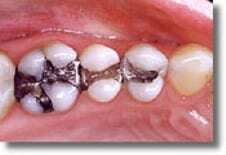 While properly called amalgam fillings, they’re commonly called silver fillings. What many people don’t realize is they are made up mostly of mercury. Today, however, you have options. About thirty years ago there were some breakthroughs in bonding technology that make amalgam fillings unnecessary. We can now use composite, also called white, fillings, in your teeth. While there are dentists who still prefer the older method, at Burba Dental we prefer the newer, mercury-free technology. Much less drilling is required to fill a cavity with composite fillings. You only have to remove the unhealthy part of the tooth with the cavity. However, with amalgam fillings a considerable amount of healthy tooth structure has to be removed in order to retain the filling adequately. 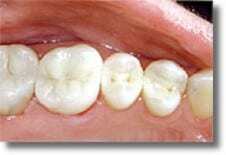 Composite fillings bond directly to your teeth, which helps to strengthen the tooth structure. There is no proof that the mercury content of amalgam fillings poses any risk to patients. Still, some patients may worry about the potential health effects of using mercury. With composite fillings there is no mercury involved. White fillings look just like your natural teeth. No one will be able to tell where you have a filling. They seal adjacent parts of the tooth from further decay. Metallic fillings are conductors, making your teeth more sensitive to hot and cold in your mouth. Composite fillings are insulators, protecting your teeth from sensitivity. If you are looking for a dental office to give you a mercury-free filling, feel free to call our office, or book now by clicking here.